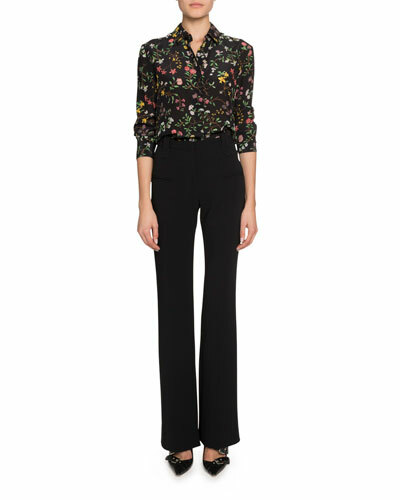 Since bursting on the scene in 2009, Joseph Altuzarra's collections have quickly become an established must-wear. 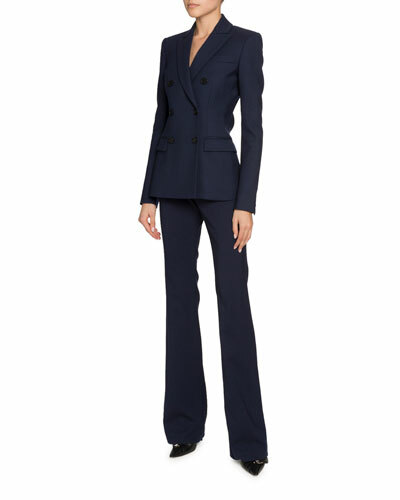 Having apprenticed at Marc Jacobs and Givenchy, he is able to make strongly tailored looks that still adhere to the feminine form: in other words, powerfully feminine. And he is especially known for his ultra-cool-yet-elegant jackets and day dresses. 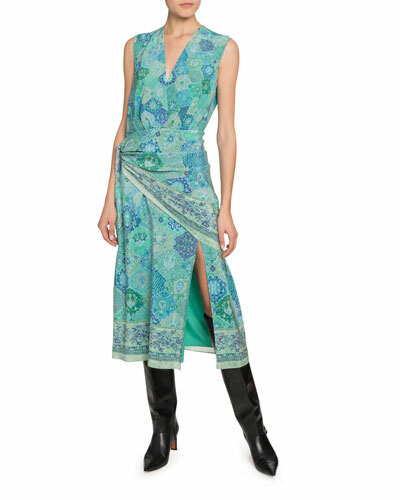 Launched in 2008, Altuzarra is a luxury line inspired by sensuality, folklore, and the designer’s Gallic heritage. 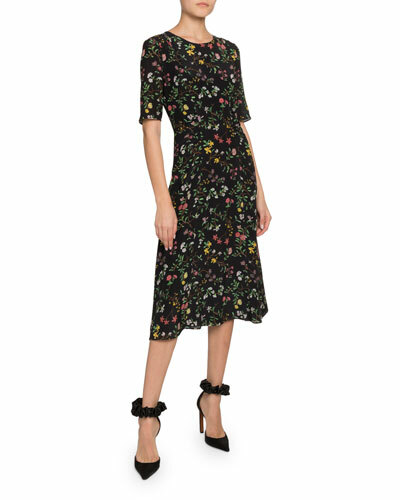 Joseph Altuzarra created his line for the global woman, bringing whimsical prints and fine details to apparel, handbags, and shoes. The recipient of numerous high-profile awards, Altuzarra has an unflinching eye for detail that allows for clothes that are at once unique and familiar, including menswear-inspired suits and dresses, balanced with decidedly feminine dresses and blouses. The powerfully feminine line includes structural handbags and statement-making footwear, reflecting the designer’s multicultural background and cultural curiosity. 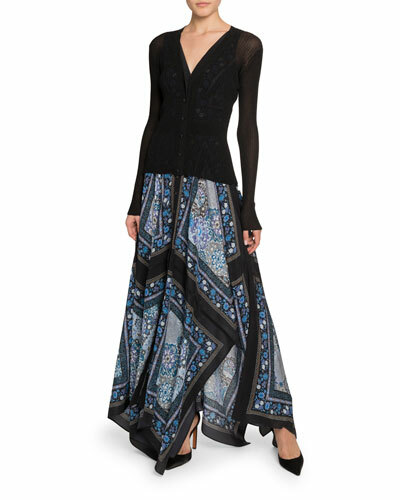 Find a curated selection of Altuzarra apparel and accessories at Bergdorf Goodman. 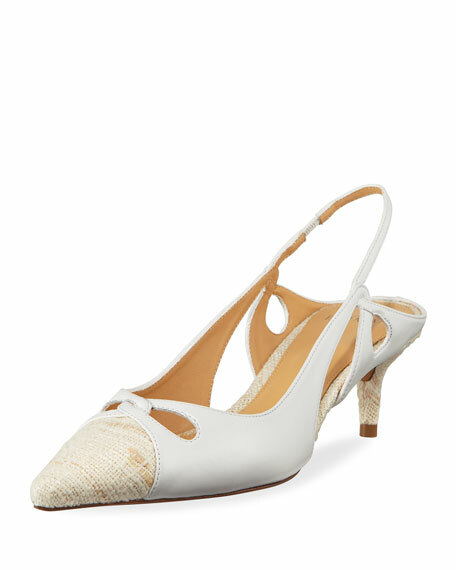 Alexandre Birman leather and linen pumps. 2" covered heel. Pointed toe. Twisted cutout upper and sides. Slingback strap. Slip-on style. Leather lining. Smooth outsole. "Nanny" is made in Brazil. 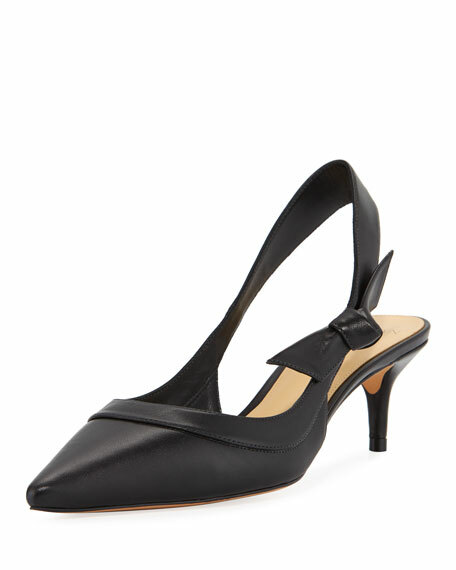 Alexandre Birman smooth leather pumps with knotted bow at side. 2" covered kitten heel. Pointed toe. Slingback strap. Slip-on style. Leather lining and sole. "Wave Clarita" is made in Brazil. 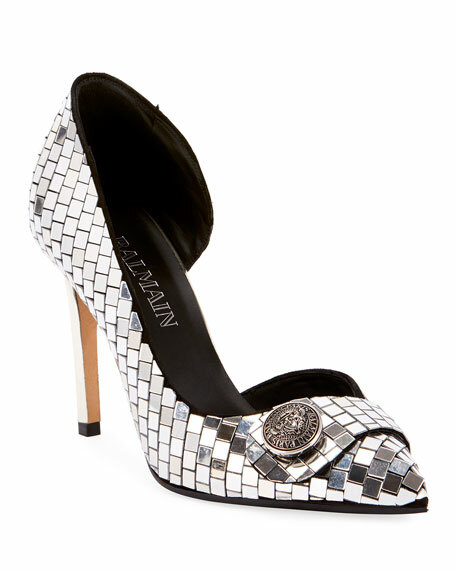 Balmain "Julie" mirror tiled high pumps with logo medallion. 3.8" metallic stiletto heel. Pointed toe. Half d'Orsay silhouette. Slip-on style. Leather lining. Smooth outsole. 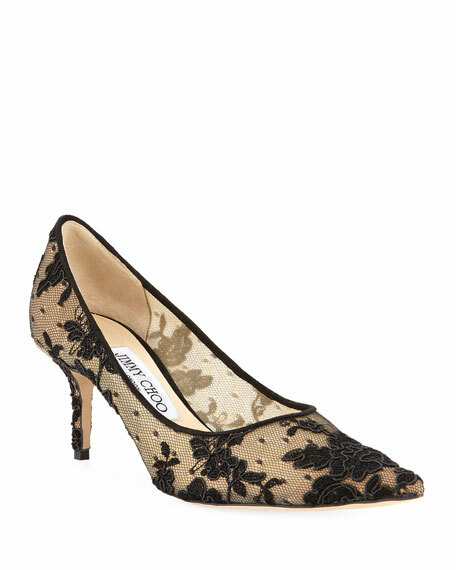 Jimmy Choo "Love" Swiss dot mesh pumps with floral embroidery. 2.5" covered stiletto heel. Pointed toe. Slip-on style. Leather lining. Smooth outsole.